Koduogo Primary school has over 1,000 students and only 8 teachers, making class sizes of over 100 a common theme. One of the classes currently learns under a tree and those taught in classrooms are cramped with limited resources. Two years ago, Team Kenya invested 200,000 Kenyan Schillings (approximately £1,500) in a school business farm at the school. The motivation behind this was to generate income to contribute towards school improvements and to more effectively meet the need of girls. Maize, bananas, soya beans and eucalyptus trees were planted, whilst sheep were purchased to do this. 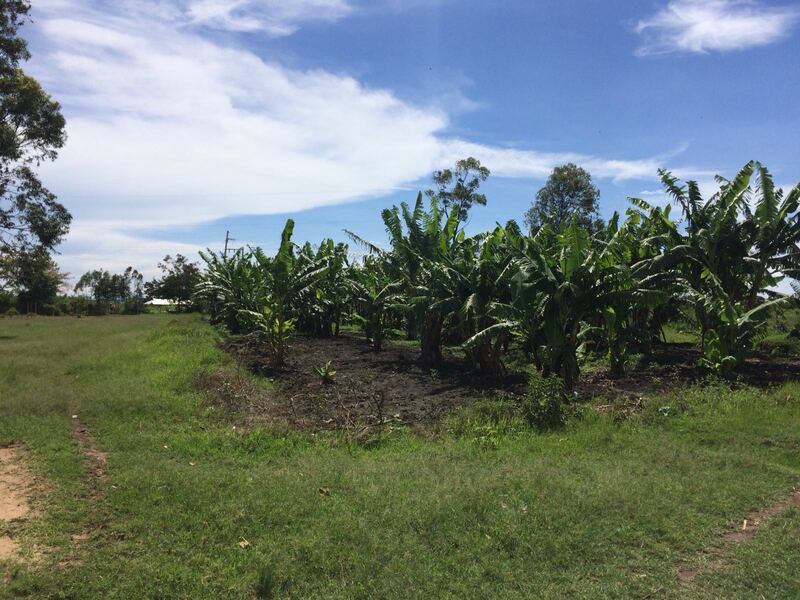 The school now has over 200 banana trees, which generate an annual income of approximately 200,000 KES (approximately £1,500) in total. This money is used to invest in uniforms, books, pens and other essential resources for girls. 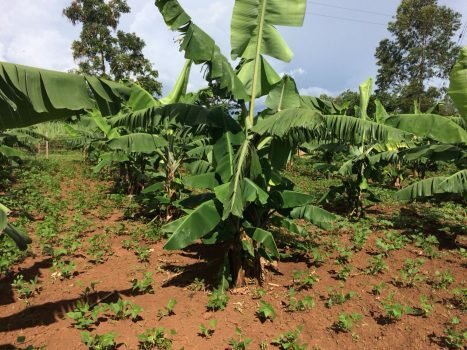 To generate more income in the future, the school is expanding the banana farm using seedlings produced by the existing plants. Income from the sale of sheep has been used to purchase cement and sand and to pay for labour to resurface the classroom floors. The cement and sand was also used to install a fence around the school compound. The wood for the fence came from the school farm, whilst Team Kenya provided 50,000 KES (approximately £375) to cover the cost of barbed wire and nails. 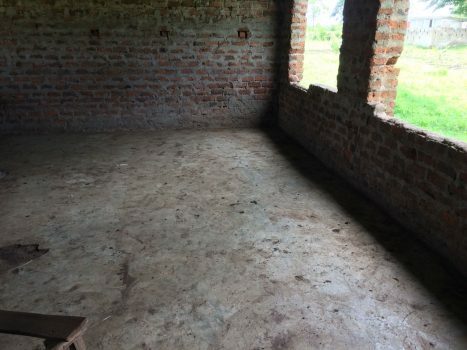 As a result of the classroom floors being resurfaced, students are no longer suffering from jigger infections (painful parasites which are a common issue in rural Kenya). Meanwhile, the fence ensures that the children are safe and the farm is protected from thieves and roaming livestock. In two years’ time, the eucalyptus forest will be worth between 6 and 10 Million KES (between £46,000 and £77,000). The school intends to use this money to invest in new classrooms, school improvements and more teachers for the school. A relatively small investment in the school has had a really significant impact. By investing in a farm for the school we have ensured that the school will be able to make improvements to structures, improve teaching and learning and create a friendly environment for girls on a sustainable basis. © 2016, All rights reserved by Team Kenya.